"It's quite possible there will be effects on whether you are retained, promoted, demoted — who is first to be laid off." 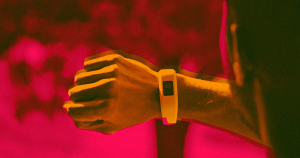 If your workplace gives you a fitness tracker, there’s a chance your boss can personally sift through the data it provides. That means that your boss will know how often you move around and other information on your lifestyle, and possibly even whether you’re at risk of things like heart disease — even if you wear the device during the weekend, according to The Washington Post. Often, employers will issue fitness trackers to encourage their employees to live more physically-active lifestyles, like one man interviewed by the Post who got a surprise congratulatory phone call from his boss of 25 years after increasing his daily step count. Employees may even get cash incentives or reduced medical premiums if they agree to wear the devices. But in exchange for those incentives, employees may be trading over more access to their personal lives than they realize. And given that fitness trackers are notoriously inaccurate, that means your boss could be evaluating you based on false information.